Hoof Care Doesn’t Stop in the Winter. Winter is in full force and Jack Frost is blanketing many of our pastures with snow, freezing rain, and ice. Many of us are now concentrated on keeping our horses healthy, while maintaining body condition through this cold spell. We all have different routines we practice to keep our beloved horses as comfortable as possible during these months. 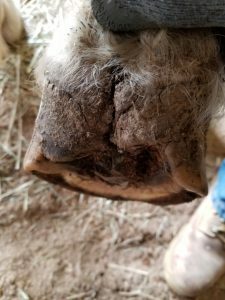 We can debate all day between blankets VS a horse’s natural coat, or even more barn time VS more pasture time – but the one thing we cannot argue about is that proper hoof care doesn’t stop in the winter. 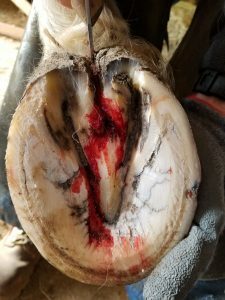 Providing a balanced diet, staying on top of any hoof problems caused by the environment, and routine farrier work is a year-round effort. It doesn’t take an expert to see that any amount of snow is going to leave our pastures wet and muddy, and as we have discussed in previous articles, wet and muddy conditions can create the perfect environment for “hoof eating” microbes to thrive. 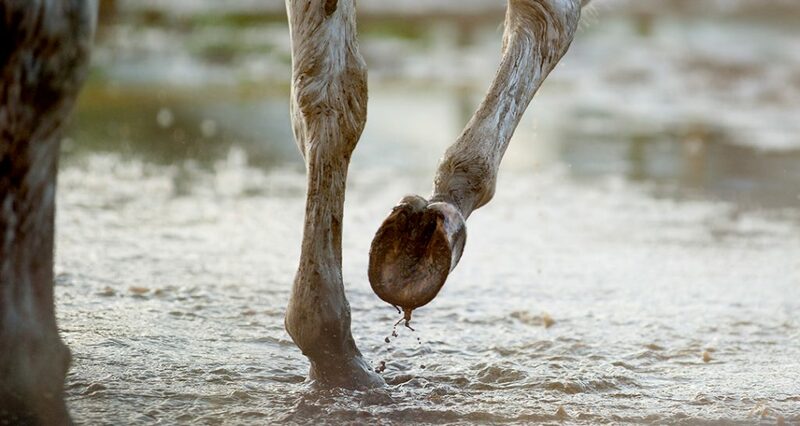 Prolonged exposure to water can soften the hoof capsule, leading to stretching and separation of the white line area. Regardless of how much pasture time you are allocating to your horse during the winter, ensure to properly clean and dry the hooves before moving your horse back into the barn. Even if your horse is not spending a lot of time out in the cold environment, it is still important to regularly clean your horse’s hooves. 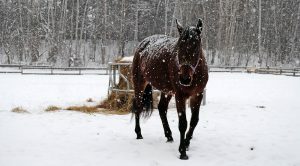 Some horse owner’s may choose to restrict pasture time due to the freezing weather. 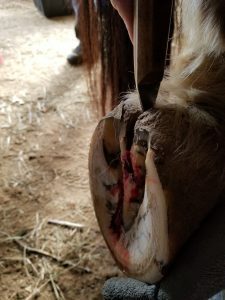 Extended periods of time in a stall might keep your horse warmer, but this confinement can create hoof problems as well. While stalled, your horse will be standing in its own waste. This exposes the hooves to different bacteria that will affect the health of the hooves. 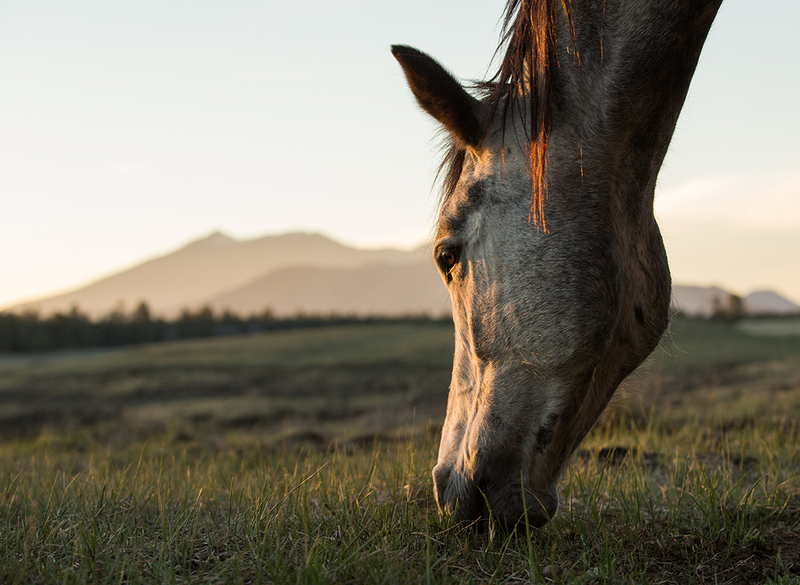 Regularly cleaning your horse’s hooves and maintaining a clean environment for your horse can help prevent problems, but issues such as Thrush or White Line Disease can develop if left unchecked. 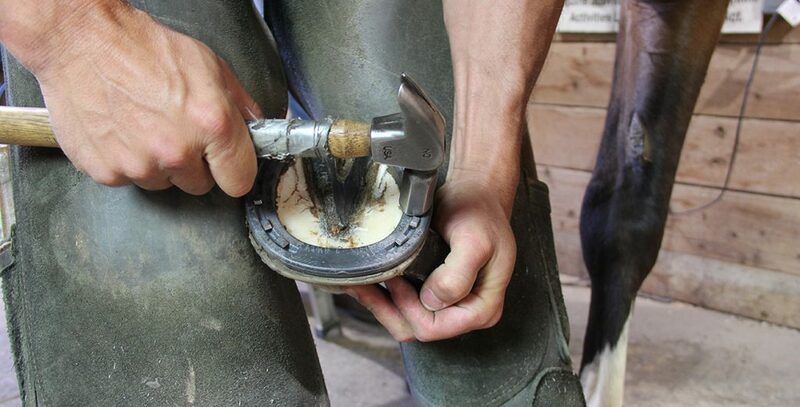 Even with regular cleaning, sometimes you may need a little extra help maintaining the health of your horse’s hooves. 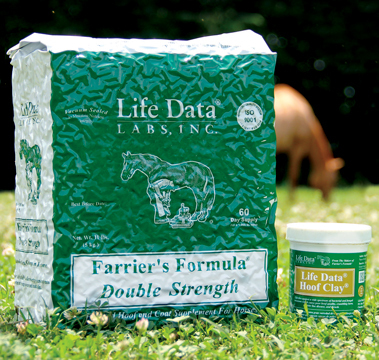 Regularly feeding Farrier’s Formula® will provide the nutrients your horse needs to promote stronger and healthier hooves. These stronger hooves will be more resilient to problems such as White Line Disease and will help prevent the softening of the hoof capsule. 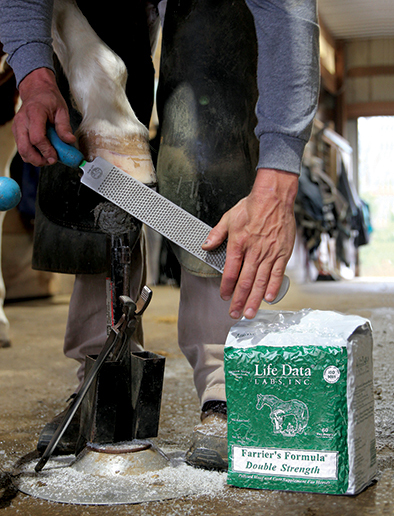 Farrier’s Finish® and Life Data® Hoof Clay® may be applied after cleanings to help fight and kill any “hoof-eating” microbes. 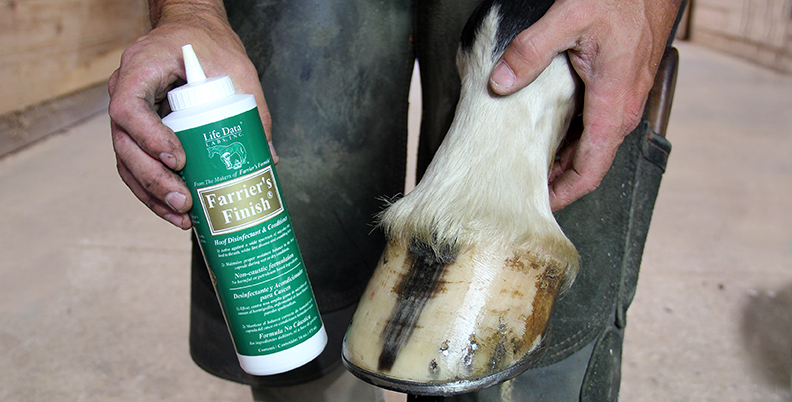 These products will also help maintain hoof quality, and are non-caustic to you and your horse. 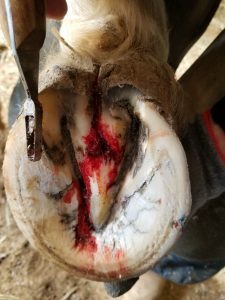 We also recommended talking with your farrier and veterinarian to create a plan to properly care and maintain your horse’s hooves. Regular farrier and veterinarian visits are always recommended. Farrier visits should not be eliminated because of the winter season. If you have any questions please feel free to call us at 1-800-624-1873 or e-mail us at cservice@lifedatalabs.com.